Special thanks to multi-multi-multi-commissioner Sean Ray for dialing up the number to Blade Runner: The Final Cut (2007). This edition is intended by director Ridley Scott to be the definitive version. 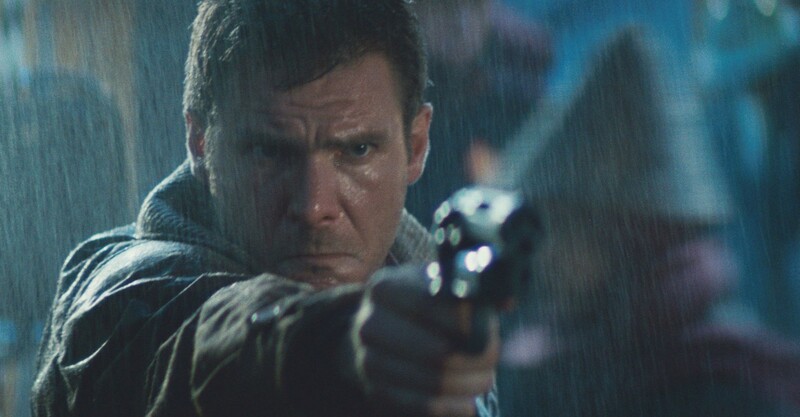 The interesting thing is, Jim and I have always been a bit "meh" on the classic Blade Runner experience. Sure, we always saw how influential it is, and could understand why it was highly regarded "for it's day". We both felt like we saw the film with fresh eyes on this cut. There are problems with world building and pacing here and there, but everything tracks so much cleaner, and the third act which was always a standout is now a pure joy. Thanks again, Sean! It's not every day that a commission completely has us do a 180 on a project, this is one of those rare times! If you're interested, you can also hear our extended thoughts on the 2017 sequel, Blade Runner 2049.